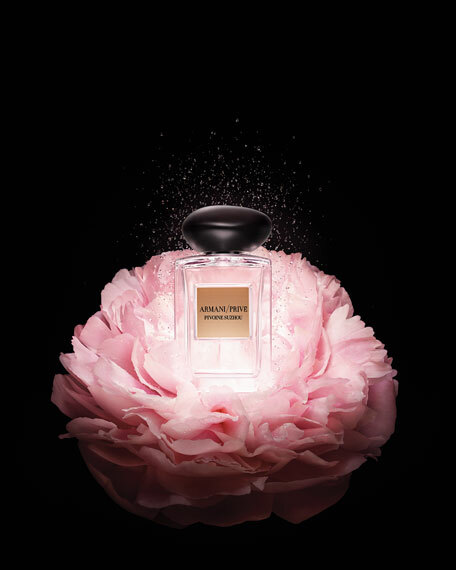 A peony accord that is lightly opulent and ultra-feminine, its addiction intensified with Centifolia Rose Absolute and rose essence. Bright notes of green tangerine and Pink Pepper Pure Jungle Essence* insinuate a spicy-fruity facet. 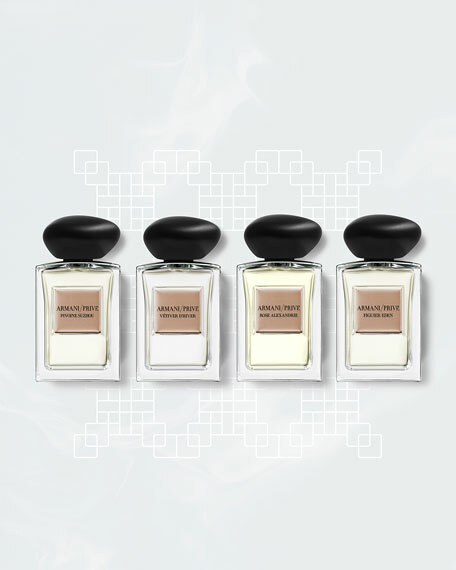 The fragrance offers a new sublime addiction through a very natural acidulous touch with Raspberry Jungle Essence*, perfectly blended with the natural fruity facet of Peony. Like the heat of the morning sun, a soft, lingering seduction envelops the skin in amber-like notes of Orcanox* and musk, with a hint of patchouli. Giorgio Armani reveals an ode to the legendary gardens of Suzhou, China; a harmony of nature and to Chinese Elegance and Refinement. The city boasts over 200 gardens within its walls, demonstrating the delicate balance of water, earth, fire and air. The same meticulous care of the gardens echoes the same approach Giorgio Armani takes in the study and finish of each collection. 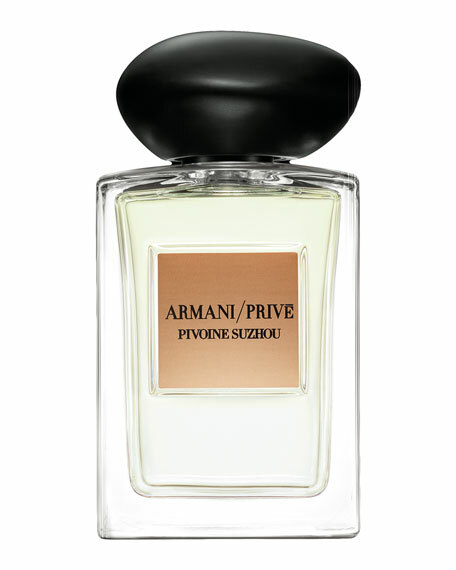 Pivoine Suzhou features the peonyonce too fragile to be distilled into an oilcarefully reconstructed with hints of bright green tangerine and a finished with a soft layer of amber notes, patchouli and musk. Inspired by the gardens of beauty and harmony of the classic gardens in Suzhou, China and the beloved peony flower; the new Pivoine Suzhou captures the natural perfection of the peonythe voluptuous freshness of its fragrance, the luxuriant abundance of its petals and the soft sensuality of their touchto create a bouquet of emotions, both luminous and intoxicating. Captivated by Indian spirituality and mysticism, Giorgio Armani dedicates the latest additions to La Collection des Terres Précieuses to India.